Avenged Sevenfold News: M.Shadows vs Marilyn Manson. 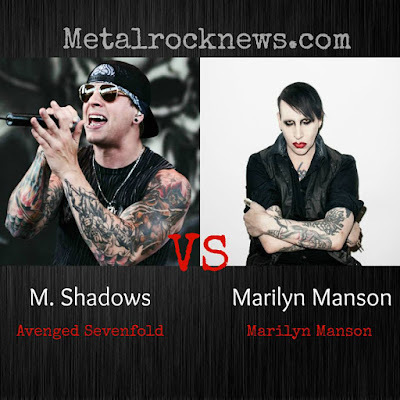 Vote M.Shadows as "Best Frontman Of All Time"
M.Shadows vs Marilyn Manson. Vote M.Shadows as "Best Frontman Of All Time"
M.Shadows was nominated as "Best Frontman Of All Time" on Metalrocknews.com. Click here to vote.